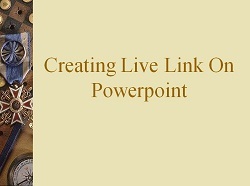 Creating live note on powerpoint. Live note in here is a note that we make while presentation. Actually i little difficult to express my idea on title, so i just make live link as an topic. I hope you understand what i mean while reading my explanation. Some time when we make presentation, we need a little note to make our content are clear. Usualy we use another board (if any) to make that note, but imagine if we don't have a board to make a note? we can use powerpoint is self as a note. So we can draw or write something on powerpoint. How to make a note while presentation? just press 'CTRL P', it will make your cursor as a pen. 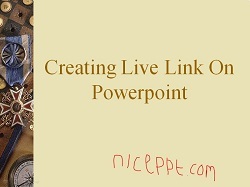 So you can draw something on powerpoint. If you want to erase them, use 'CTRL E' and it will change into eraser. So you can dellete drawing that you didn't want to.